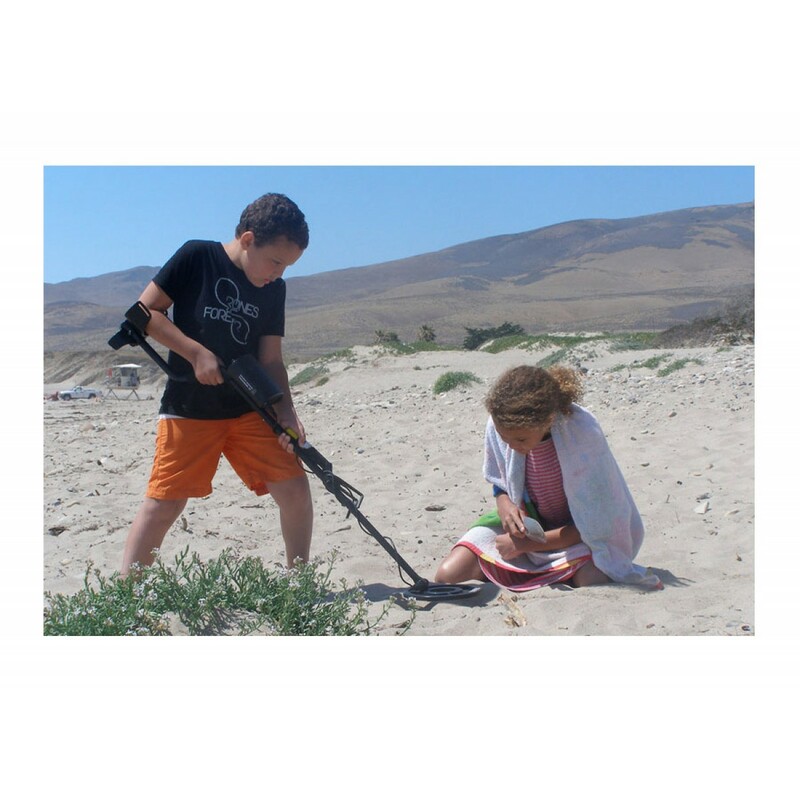 Need the perfect metal detector to get your kids interested in your favorite hobby? Look no further! 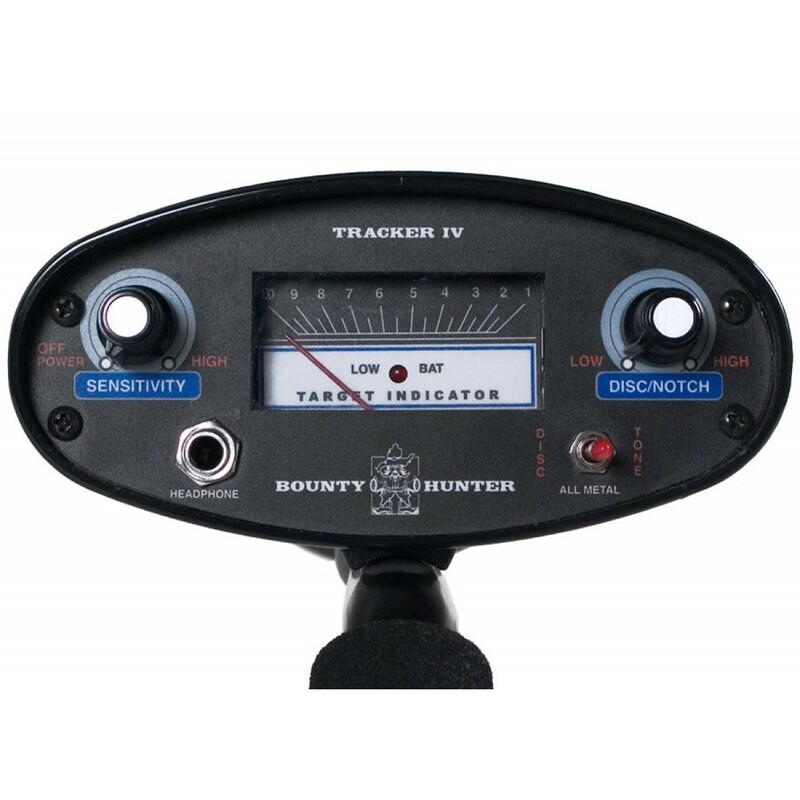 The Bounty Hunter Tracker IV is the perfect machine for kids who want to be treasure hunters! 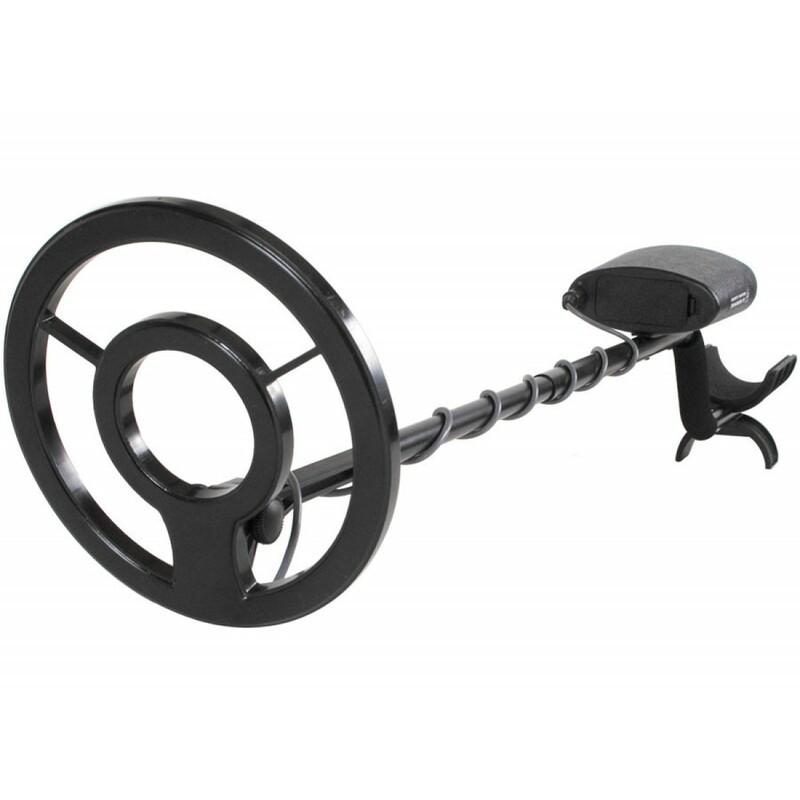 The Tracker IV is easily the most lightweight and simplistic metal detector on the market today. 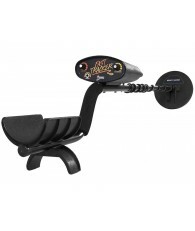 With only two adjustable knobs, an LED battery-warning light and an analog target indicator meter, this metal detector will give any youngster a taste of treasure hunting without having to fork over a treasure! 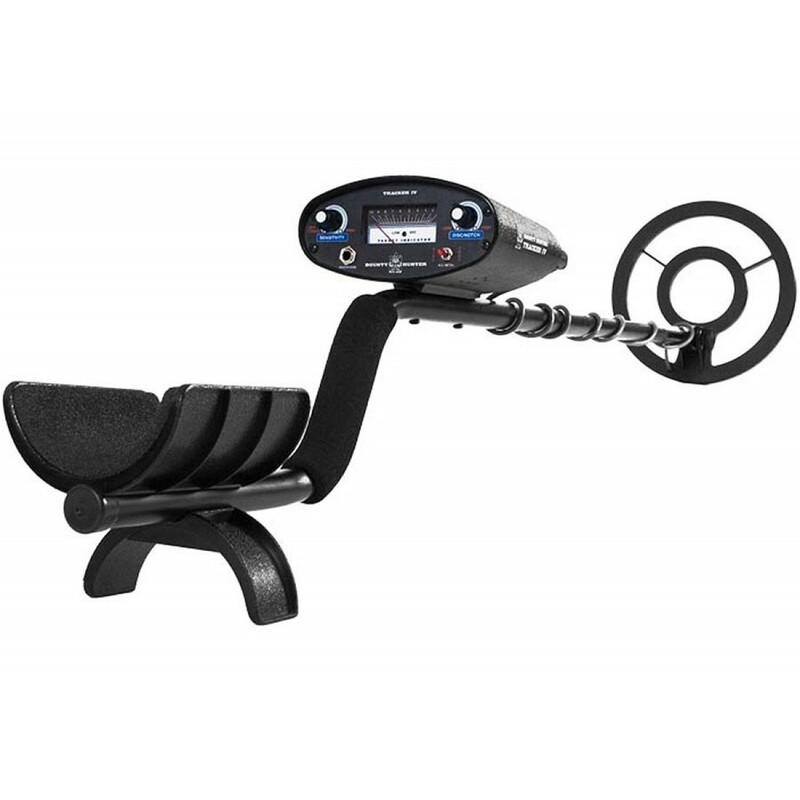 The Bounty Hunter Tracker IV metal detector is a user-friendly instrument, offering tremendous value for the money, while delivering effective performance over a wide range of conditions and applications. The Tracker IV is an old standby. This classic model features dual tone discriminate. It also includes a sensitivity adjustment and a discrimination control. The display is a simple intensity meter which does not identify the targets. 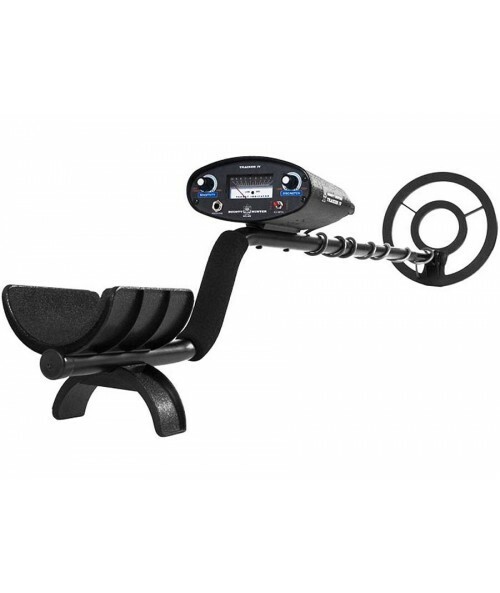 Streamlined in appearance, with only two operating controls and a mode selection switch, the Bounty Hunter Tracker IV has eliminated the most difficult aspect of metal detector operation: Ground Balancing. 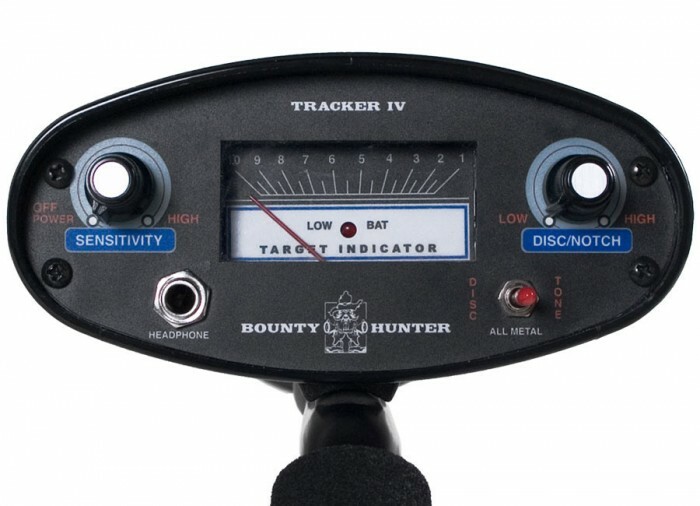 With built-in Automatic Ground Trac, the Bounty Hunter Tracker IV balances for mineralization while you detect. The Tracker IV will detect in extreme ground conditions from beaches to highly mineralized inland sites with no operator adjustments to the circuitry and with no loss of sensitivity. Is there a Budding Little Detectorist in Your Life? 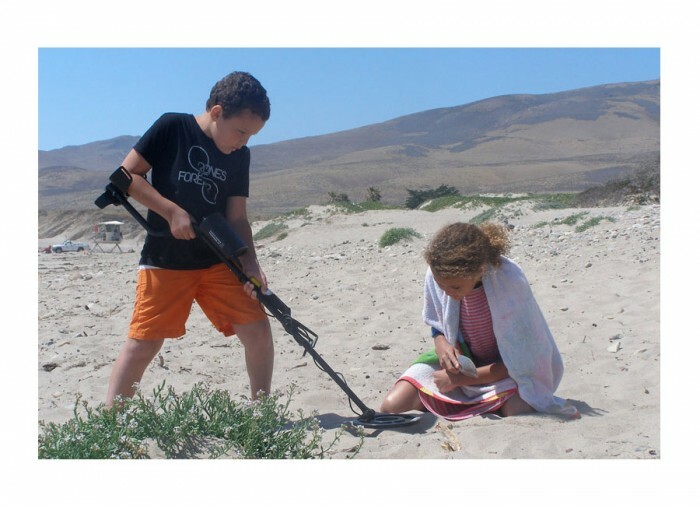 Need the perfect metal detector to get your kids interested in your favorite hobby? Look no further! 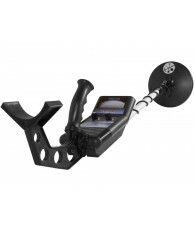 The Bounty Hunter Tracker IV is the perfect machine for youngsters who want to be treasure hunters! 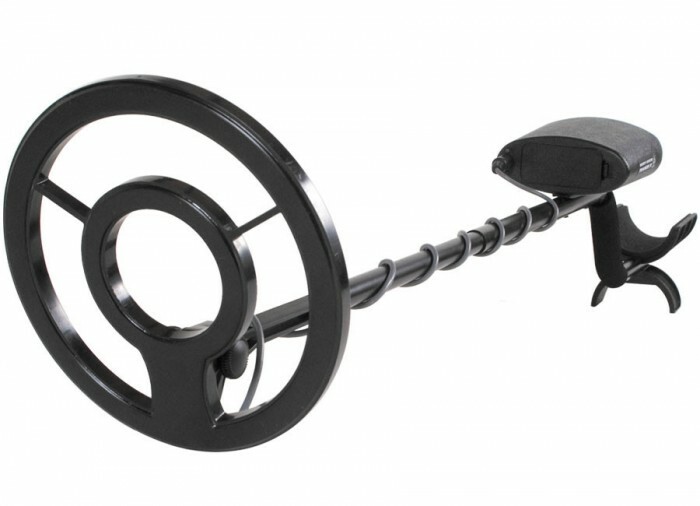 The Tracker IV is easily the most lightweight and simplistic metal detector on the market today. 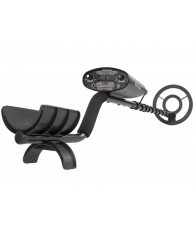 With only two adjustable knobs, an LED battery-warning light and an analog target indicator meter, this metal detector will give any youngster a taste of treasure hunting without having to fork over a treasure! It features only two different hunting modes and has automatic ground balancing to keep you from getting frustrated with settings while two distinct audio tones will alert you to the different metals buried underground. 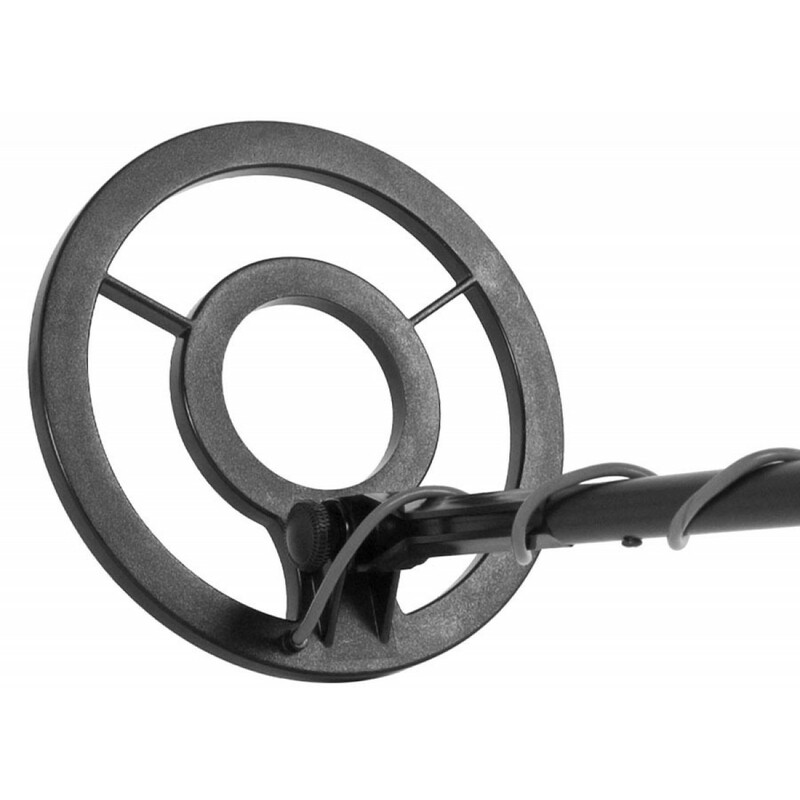 Ideal for any environment, the Tracker IV's 8" search coil can be taken into damp grass and even shallow water or puddles. The search coil is waterproof but the case and case-to-cable connection is not. I just purchased one of these for my son's 11th birthday. What a gem this is for his first metal detector. The Tracker IV is so easy to use, within just a few minutes after pulling it out of the box, we were searching around the house and found about 15 newer coins in the first hour. 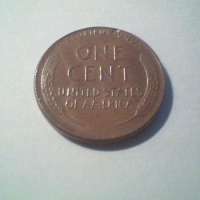 One was a dime at about 5". I don't know if I was more surprised by the number of coins in my yard or by how well the Tracker IV was finding them. This little thing is a coin machine. It is extremely lightweight and nimble. The features I like about it are it's simplicity right out of the box, yet it is pretty powerful for the price. It has two knobs, one for sensitivity and one for discrimination level. It also has a toggle switch to move between 3 modes (all-metal, tone discrimination, and regular discrimination). The discrimination works well. I would say that 80% of the time when you think you have a coin, it is a coin. The only things that seem to fool this machine are big pieces of aluminum or pull tabs (if you set the discrimination to still get nickels). This is a common problem with most brands though. In just a few hours of searching a park and an old house, he has found 35 newer coins, a Swiss army knife, and a small silver ring. The only negative thing I would say about it is that the meter really doesn't communicate much information because it always seems to go all the way to the right when it reads a signal. 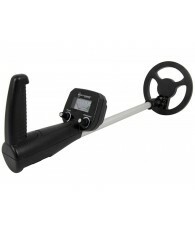 I have recommended the Tracker IV to my family and friends who are looking for a good starter metal detector. Experience is the best teacher! 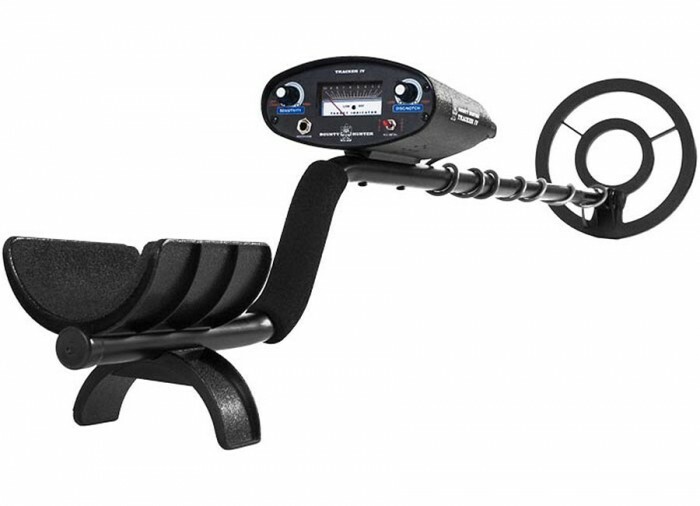 With my experience in metal detecting, I have seen many a detector with flashy symbols, lights, gauges, and colors, but not many have surpassed the ease and expertise with which this simply styled, yet extremely reliable and precise, Bounty Hunter Tracker IV metal detector guides you to your finds. 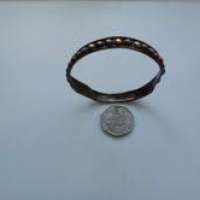 Whether they are silver, gold, copper or bronze, no metals escape the bloodhound accuracy of this light, little treasure. 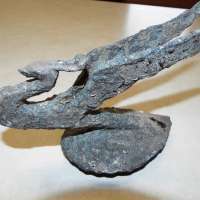 I was amazed at the heavy amount of finds I was able to uncover, without paying the heavy duty price of a very heavy machine. I once swung this little beauty for 6 hours straight, and my arm was no less the wear than when I started. 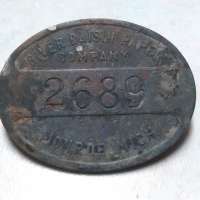 The meter and discrimination settings were easily adjusted, controlled, and able to be read, consistently yielding finds on wet or dry, sand, soil, and dirt. The auto ground balance was a big help, and allowed me the time to enjoy detecting, rather than fiddling with controls. I have never experienced problems finding the target with my Tracker IV. I found numerous silver coins at nearly 2 feet in the sand, and gold rings, pendants, and other goodies, even deeper than that! Consistently finding good targets, you have to rely on what this machine tells you. If you don't hear a strong, steady, signal, and decide to dig, you will only spend hours of back-breaking work digging up total trash. With the discrimination set to just past 12:00, it sets aside all the garbage, and has no problem separating the small time clad pennies from the nickels, quarters, silver, and gold. 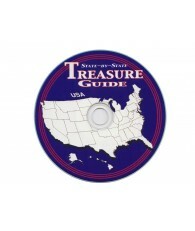 A strong, distinct, high tone usually means a silver find, and a strong, low tone usually means gold, dimes, quarters, but watch out, you will dig plenty of pull tabs, rolled up aluminum foil, and cigarette boxes, as these usually masquerade themselves as gold, when passed under a detector. 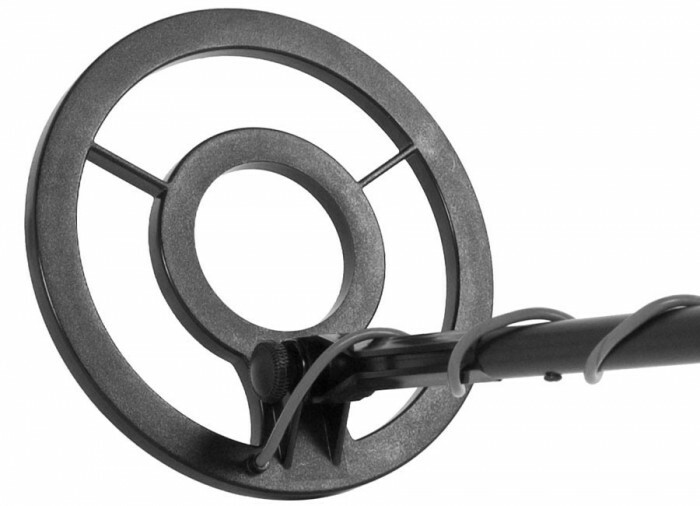 When using this machine in busy park areas, I also recommend using the smaller 4" coil, as it helps with pinpointing. I bought this from amazon.com a few months ago. I've only had it out a few times so far. It's easy to use and the price was decent. So far I've found some newer coins and a lot of junk like nails, etc. I realized my wedding ring was missing yesterday. It comes off easily so I have a tendency to take it off whenever I am doing anything where it might fall off - but I could not find it in any of my usual places that I put it. I was absolutely sick with the thought that it was lost. The only thing I had done all day where it could possibly have come off without me noticing was pulling the hose around to add some water to the pool. I had crawled around on my hands and knees for 2 hours looking through all the grass to find it with no luck. I went out and bought a Tracker IV - came home - put it together - ran through the tests in the book with coins and went out to look for it. I have never used a metal detector before in my life. At first, I had a few hits - but not where I thought I could have lost it. Then I tried the discriminator settings. I tested it with a couple other rings to see that they made the lower tone beep (more of a brrrp sound). Went back out - found one spot with that tone. My wife bent down, dug around for about 20 seconds and said "Here it is!" I could not be more happy. 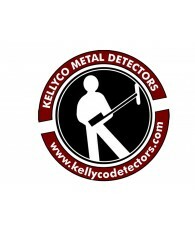 I have no idea how this product stacks up against other metal detectors - but I can say this: If you lost something important (and it is metal) go out and get yourself one of these. I found my ring and now I have a new hobby! I bought this tracker at Dicks Sporting Goods. 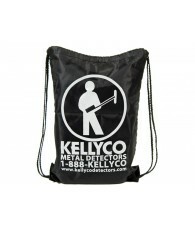 I wanted to buy from Kellyco. But I needed to have one in a day. 110 bucks but no accessories. I was going to the Philippines and wanted to detect but wasn't sure if they would confiscate it. I wanted to bring the AT Pro but couldn't chance it. Well they didn't take it since it is legal to bring one over there. Went to a small tourist island and started detecting. Started out slow trying to get the iron disc and sensitivity correct. Kept digging up nails. But I soon figured it out. Found my first peso coin in like 2 minutes then another and another and on and on. Found a copper witch doctors cross with the scroll still sealed in it. Even found coins from when Marcos ruled there. Dollar for dollar this detector is incredible, I give it a 6 out of 5. It works so good when set up correctly I'm just going to upgrade the coil and bring it back to the Philippines in early 2018. The only problem I have with it was when the coil is submerged in salt water. False signals out the wazoo. So I just waited for low tide, problem solved. So if you're thinking of a great starting detector this is the one. It works just as good as my AT Pro in wet or dry sand... Love it.